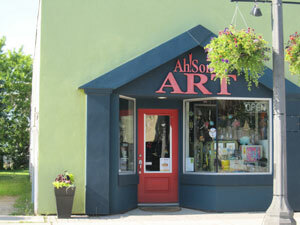 Ah!Some Art is one-of-a-kind fine art and gift boutique with a fantastic and funky selection of hand crafted fine art, high quality prints, jewellry, greeting cards, pottery and home decor. Over ninety percent of the artists we represent are Canadian. Come visit us for a unique shopping experience. Loitering is encouraged!